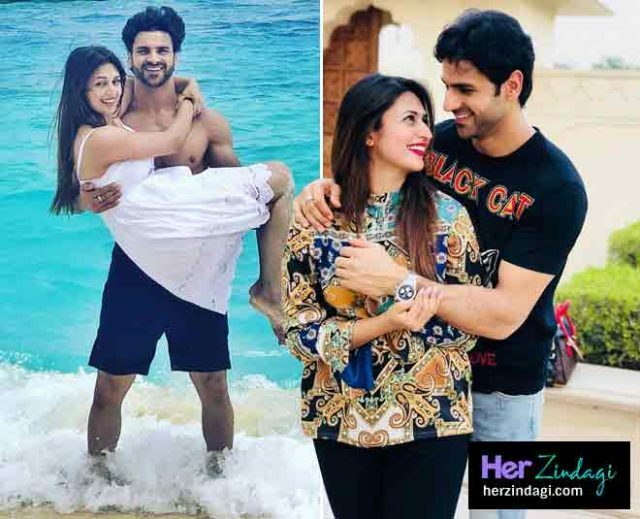 Divyanka Tripathi and Vivek Dahiya Second Marriage Anniversary " Celeberation"
Vivek Dahiya and Divyanka Tripadhi are celebrating our second marriage anniversary at the Maldives. Divyanka Tripathi, Vivek Dahiya celebrates 2nd marriage anniversary in Maldives location. Divyanka sees this pictures. All people like this couple ” Divyanka Tripathi Vivek Dahiya they are celebrating the second marriage anniversary. It’s two years of togetherness among palm trees, sun, waves and lots of love. The couple is having a ball of a time in the Maldives. The cute couples enjoyed 2nd-anniversary. Divyanka Tripathi, Vivek Dahiya Shared pictures on all social media. The most beautiful star Divyanka shared pictures and videos from their vacation for her on social media sites. also posted a lovely wish for his wife with a caption that reads as. Divyanka saw in an olive green jumpsuit and Vivek was seen in a black T-shirt. Two years ago our sangeet gave us a high today it’s tranquil. They have not just grown together but also set many relationship goals for their fans. Vivek and Divyanka they both are expressing their love on social media sites to standing up for each other. Vivek also shared some pictures and videos for making our anniversary special. Vivek thanked fans for warm wishes and greetings. “Anniversary special ” in evening they watching the football world cup together and Vivek captained another picture with his wife. Before landing in the Maldives. The couple made a stopover at Colombo (Sri Lanka) and from there too. Next article‘You Need A Better Attitude’ Katrina Kaif Faces Misbehaviour By Salman’s Fans In Canada.